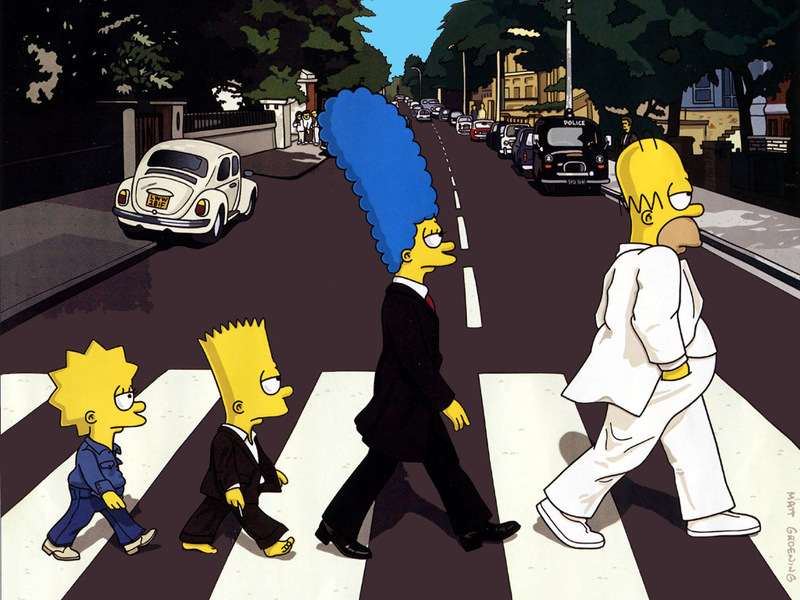 辛普森一家. . HD Wallpaper and background images in the 辛普森一家 club tagged: the simpsons. yh it is a beatles tribute. long live abbey road !!!!!!!!! @Lexzeeey In fact, you are the one that needs to die, every Bieber fan does. Now stop trolling The Simpsons AND The Beatles, the true music. That is such a copy of The Beatles Abbey Road! That has pretty good detail, though.